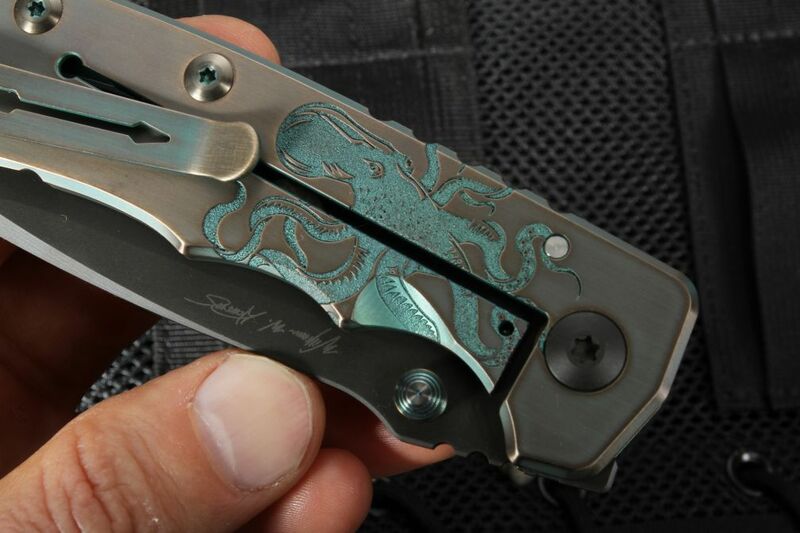 When you combine the design of Bill Harsey and the high-end American manufacturing of Spartan Blades you get the Spartan Harsey Folding (SHF) knife. 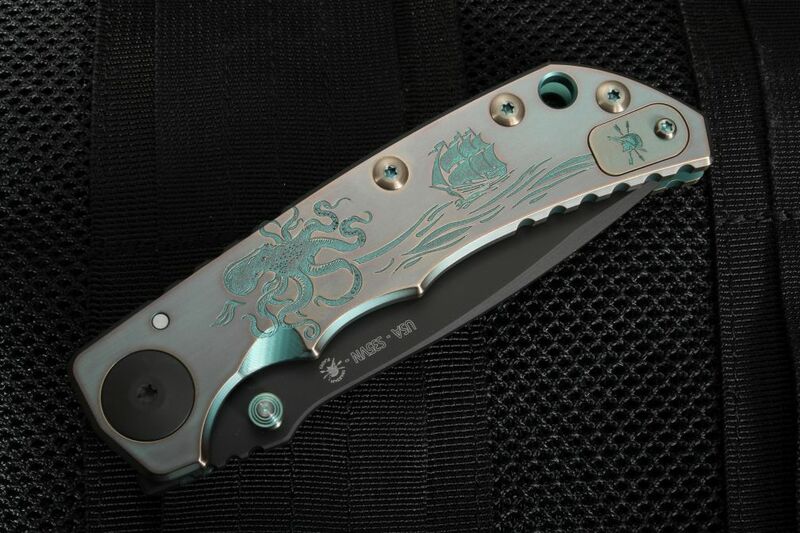 This is a 2018 edition of the SHF with an engraved with a nautical Kraken and tall ship design. 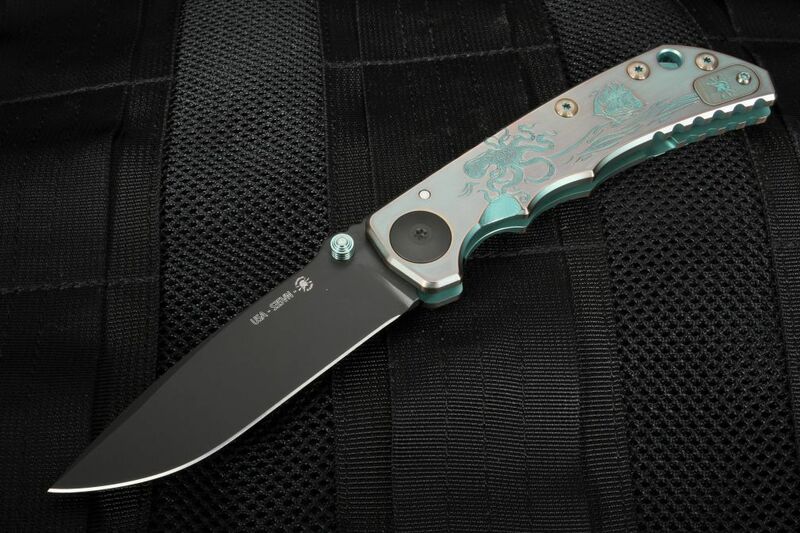 The etching has an antique copper and bronze anodizing that really makes the design stand out. 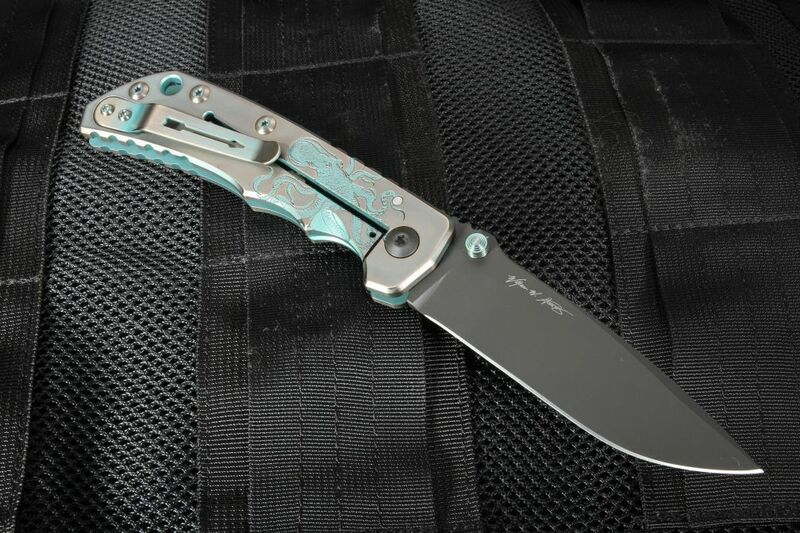 The knife has a 9" overall length with a 4.25" blade, this stainless S35VN steel blade. The finish on this knife is a black PVD finished flats on the titanium slabs. 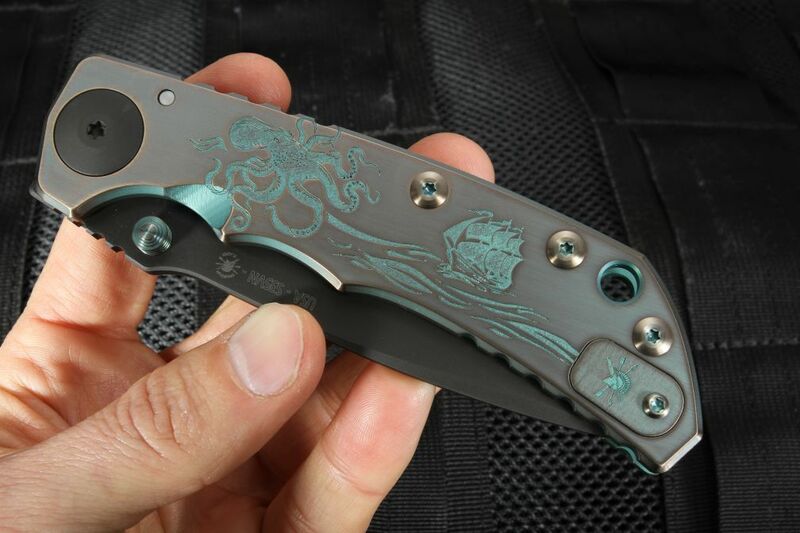 Dual anodized titanium thumb lugs on the blade allow for ambidextrous use, finger grooves providing extra support for precision cuts and power. 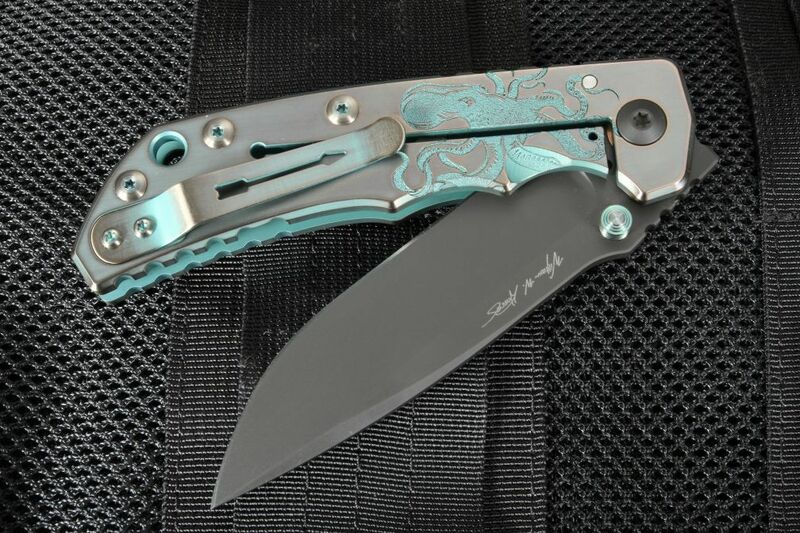 The handle also features blue anodized titanium screws, barrel spacers, and a pocket clip. 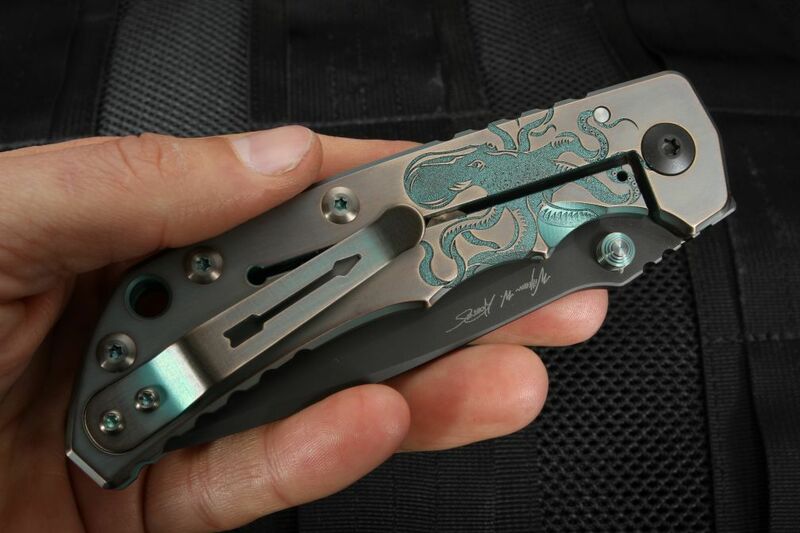 The knife utilizes a phosphor bronze bushing for reduced friction yet is solid state and is extremely dependable. 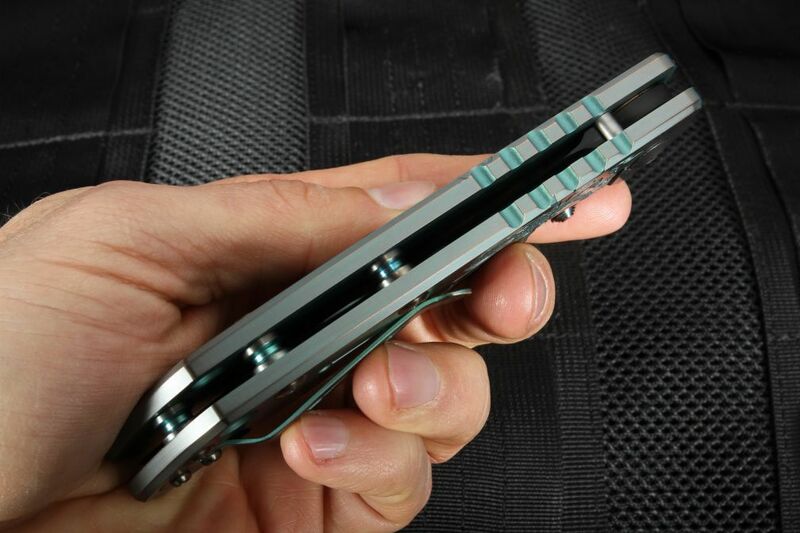 The Spartan Harsey folding knife has an overall weight of 5.9oz is lightweight considering the durability and power this knife can deliver. 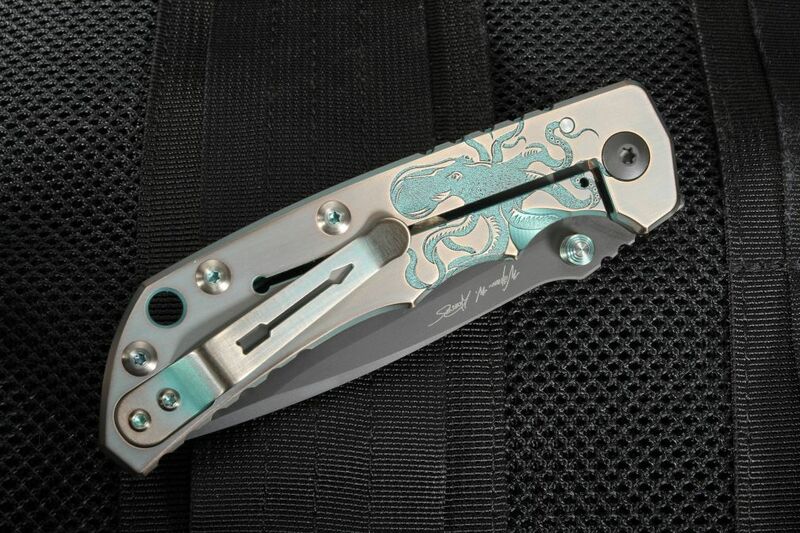 The reversible titanium pocket clip makes for versatility in carrying and the lock bar stabilizer keeps the knife safely fixed in place for when it really counts. This knife is proudly made in the USA.